My name is Valentina Petrova. Welcome to my consulting site. I offer Qualitative Data Analysis (QDA) consulting. I specialize in ATLAS.ti but also have working knowledge of Dedoose.com and TAMS Analyzer. QDA software does not do the analysis for you and I won’t either. I will help you choose the program best suited for your project. I can teach you how to use the software, but more importantly, I can help you brainstorm the best ways to adapt a given QDA program for your specific research. I have more than two years of experience tutoring graduate students in QDA and teaching workshops in ATLAS.ti. I have also used ATLAS.ti for my own master’s level research. 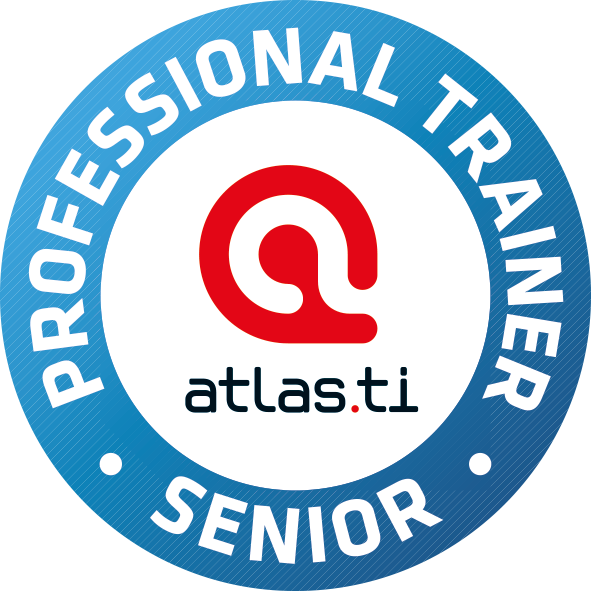 I am a certified ATLAS.ti professional senior trainer. As a lifelong learner, I love to wrap my mind around different projects and help researchers discover the best ways to use a software program to analyze their qualitative data – be it text, video, images, or other media.